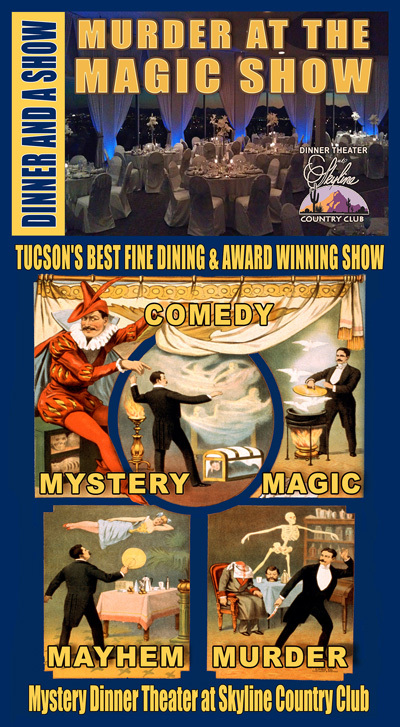 Take a full three course table-served fine dining experience; combine it with a classic, hilarious 3-act, interactive Comedy Murder Mystery Whodunit; throw in the setting of an award winning Magic Performance and be prepared for one of the most unique and memorable experiences of a lifetime. Watch an audience volunteer actually be sawn in half. Solve the crime, and possibly win the prize! Meet & Greet the cast after the show! 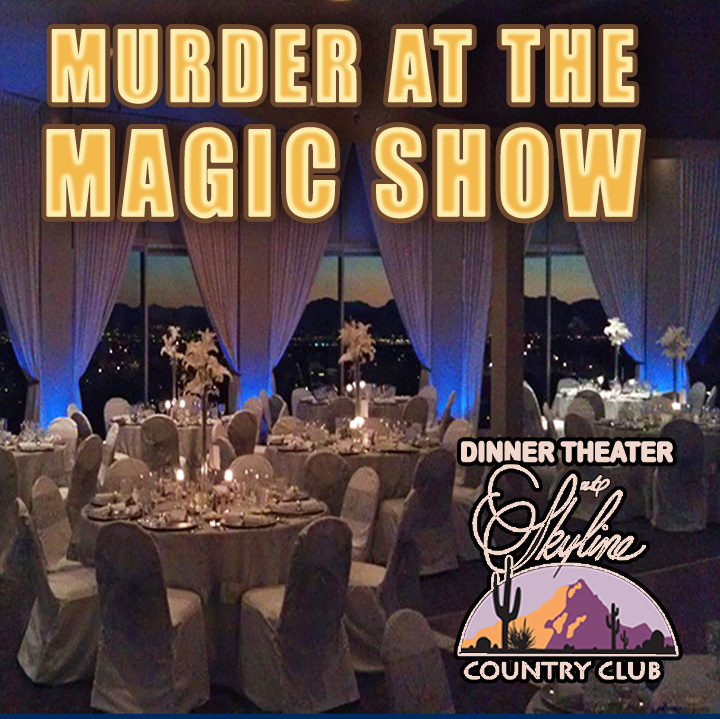 This is the only venue in town where you can enjoy a delicious actor-served candle-lit dinner and a hilarious murder mystery 3-act play with a magic show. 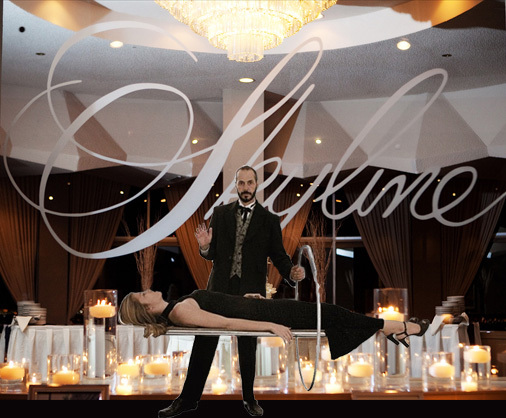 Marrying the best of two of the most popular genres with an executive chef prepared dinner, this dinner show is sure to please. We schedule our shows most every weekend of the year however performances are limited to only Friday and Saturday nights so call for tickets soon. All of our tickets are available for purchase over the telephone by calling the box office. Though we mostly have sold-out performances, we do occasionally have day of show tickets so it doesn't hurt to try.